The previous version of the law, the No Child Left Behind (NCLB) Act, was enacted in 2002. NCLB represented a significant step forward for our nation’s children in many respects, particularly as it shined a light on where students were making progress and where they needed additional support, regardless of race, income, zip code, disability, home language, or background. The law was scheduled for revision in 2007, and, over time, NCLB’s prescriptive requirements became increasingly unworkable for schools and educators. Recognizing this fact, in 2010, the Obama administration joined a call from educators and families to create a better law that focused on the clear goal of fully preparing all students for success in college and careers. Congress has now responded to that call. The Every Student Succeeds Act reflects many of the priorities of this administration. Title I is a 100% Federally-funded supplemental education program that provides financial assistance to local educational agencies to improve educational opportunities for educationally deprived children. Title I programs are designed to help children meet the state content and performance standards in reading, language arts, and mathematics. In buildings with 40% or more poverty, districts may use the funds to upgrade the entire curriculum of the school and are School-wide Programs. The Loyalsock Township School District operates one Targeted Assistance program at Donald E. Schick Elementary School (K-5). The Donald E. Schick Title I program is a supplemental instructional support program serving students in grades kindergarten through fifth. It is primarily an in-class model with support by a certified reading specialist and highly qualified paraprofessionals. 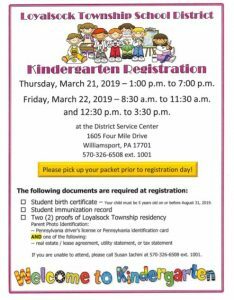 Students in grades K-5 are eligible to receive the Title I services based on multiple assessment criteria as determined by the Loyalsock Township Local Education Association. Curriculum-based and developmental assessment tasks used to determine Title I eligibility include: comprehension, accuracy, and fluency. Title I staff and classroom teachers administer school-wide assessments in grades K-5 in the fall, winter, and spring to monitor the students’ progress, strengths, and areas of need. The results of the assessments drive the students’ literacy instruction. District-wide benchmarks have been developed to monitor yearly progress. Students who are not proficient in all assessment areas and who are most in need will receive Title I support. All assessments are aligned to meet the Pennsylvania Academic Standards in Reading, Writing, Listening, and Speaking. Parent and family engagement is an integral component of the Title I program. Parents are invited and encouraged to participate in parent workshops, training, Title I meetings, and parent-teacher conferences. Parent workshops and reading incentive programs offer several opportunities for parents to learn and model effective reading techniques and strategies with their children at home. Dear Parent/Guardian and Family Member, Loyalsock Township School District’s Title I Program at Donald E. Schick Elementary is a Targeted Assistance program that directly supports eligible students in grades kindergarten through fifth. As the parent/guardian of a child attending a Title I school, you are an important part of the Title I team. Your input is vital in the planning and implementation of the parent and family engagement program and activities in our school. The focus of all Title I programs is to help eligible students meet the same high academic achievement standards expected of all children, regardless of their socioeconomic status and background. The following survey is confidential and will be used to assist us with future planning for parent and family engagement activities and events at the school. We appreciate your feedback, and thank you for taking the time to complete this survey. Perhaps you have found us through your participation at the annual district Title I event or through a flyer sent home to all Title I students requesting feedback. Title I is 100% federally funded and provides financial assistance to school districts to improve educational opportunities for students. Title I programs are designed to help children meet the state standards in reading and language arts. 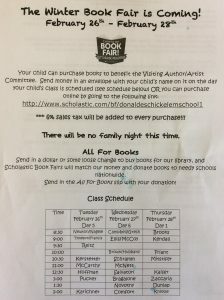 Additional information on the district’s parent involvement policy, explanation of Title I programs, curriculum and assessment within the district can be found at http://www.ltsd.k12.pa.us/schools/donald-e-schick/e-our-school/title-1-literacy-services/. Title II, Part A, is a 100% Federally funded supplemental educational program that provides financial assistance to improve the skills of teachers and the quality of instruction in core academic subjects in public and private elementary and secondary schools. Title I funds in the district are used to support teachers through an instructional coaching model (K-5), which focuses on preparing and training, highly qualified teachers. 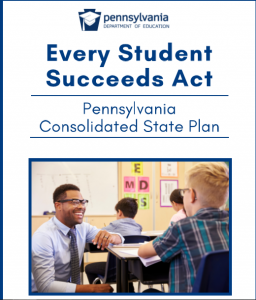 ESSA requires the Loyalsock Township School District to notify parents if their child is being taught for four or more consecutive weeks by a teacher in a Title I school or program who does not yet meet the definition of “appropriate state certification”. Title I schools must meet federal regulations related to teacher qualification as defined in ESEA. These regulations allow you to learn more about your child’s teachers’ training and credentials. If you would like to request this information please call (570)326-6508. • Information on policies regarding student participation in assessments and procedures for opting out. • time and format of disseminating results. • Parents are sent letters informing them that their child is eligible to participate in Title I.
meetings, and through other communications. • Title I Parents are encouraged to serve on school parent organizations to give Title I feedback. • Title I Parents will receive student progress reports three times per year. Information will be shared during the two Parent Teacher conferences and with the beginning, mid-year and end of year benchmarking periods. • Parent workshops are planned to provide parents with ways to help their children succeed in school. • As needed, materials are made available to parents to use with their children at home to reinforce what the children are learning in reading and writing at school. • As necessary, parents will be contacted and invited to volunteer in the classes. • Complaints regarding Title I will follow the district’s Complaint Procedure policy. If you have any questions about the Title I Parent Policy or would like to serve on a district-wide Title I Parent Council, please contact Mrs. Deitrick, Title I Coordinator. If you have questions about Title I at Donald E. Schick Elementary School or would like to volunteer to help with Title I, please contact Mrs. Terri Deitrick, Title I Coordinator or Mrs. Suzanne Foresman, the principal. Title I stresses the priority of home and school working together in collaboration. Each year, every school that receives Title I services solicits input on the Home-to-School Compact Policy with their working parent organization such as PTO, PTA, PTAC, etc. Each school develops jointly, with parents of children participating in Title I, a written School Parent and Family Engagement Policy that describes how the school will carry out the parental involvement requirements including the development of a School–Parent Compact. Schools must update these policies periodically to meet the changing needs of parents and the school. The School Parent Involvement Policy and Compact is developed with feedback from parents through their participation in PTA/PTO/PTAC meetings, annual school open house events, Title I events, Title I/school surveys, and parent teacher conferences. Parents are surveyed annually to assess their satisfaction and give suggestions on the Title I program. The Policy is written and distributed using an understandable format and is provided in a language parents understand. If it is not, parents may request an alternate form or support from school personnel. Parents/Guardians will be notified that their child is eligible for Title I services. Notification will be sent by letter describing the program briefly and explaining why the child was selected. Parents/guardians will be given the option of signing out of the program. Midyear and end of year progress reports will be sent home to parents/guardians. Parent/guardian and Title I teacher conferences will be scheduled on an as needed basis. Title I teachers will schedule conferences with classroom teachers to discuss progress of each Title I student. 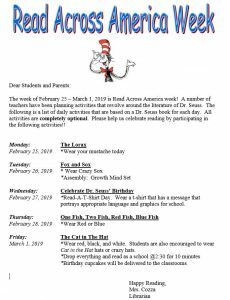 Title I teachers will arrange workshops or provide parents/guardian with suggested activities and resources to promote at-home reading practice. Administrators and Title I teachers will meet with Title I parents/guardians to review the Title I program and to solicit suggestions in program planning and implementation. Recommendations will be considered. To provide high quality instruction in a supportive and effective learning environment that will enable success for your child. To be aware of the educational needs of your child. To regularly communicate with you and the regular classroom teacher on your child’s progress. Return completed homework on time. Ask for help, when needed. Be respectful to teachers, school personnel, other students and school property. Make sure my child gets adequate nutrition. Make sure my child gets to school on time. Attend open house, workshops, conferences and Title I meetings. There are so many ways to connect with people and organizations now, and the James V. Brown Library, 19 E. Fourth St., is no exception. The library’s website, jvbrown.edu, is the place to access the catalog, see what programming is taking place, read about new activities and services at the library and access online resources such as downloading eBooks, taking a free driver’s license practice test and researching local history. Connect with us by subscribing to our e-newsletter and never miss out on what’s happening. The library’s Facebook page offers information about programs and content from book-loving sites, as well as quotes and literary birthdays and more. The library also has a Twitter, @jvblibrary, and Instagram, @jvbl1907. The world of social networking is free, open, fun and enriching. You can always visit calendar.jvbrown.edu for a list of upcoming programs for all ages. From there you can add the event to your calendar, share the event to your social media accounts or email it to a friend. There are so many ways to connect with those in your community and the library wants to help you stay connected. There is free wi-fi throughout the building and computers to access the internet in our adult and teen areas. A parent resource form will be sent home with your child this coming week! A link was sent on the Title I 2018-2019 Remind app. We have a new Reading Specialist in Title I this year! 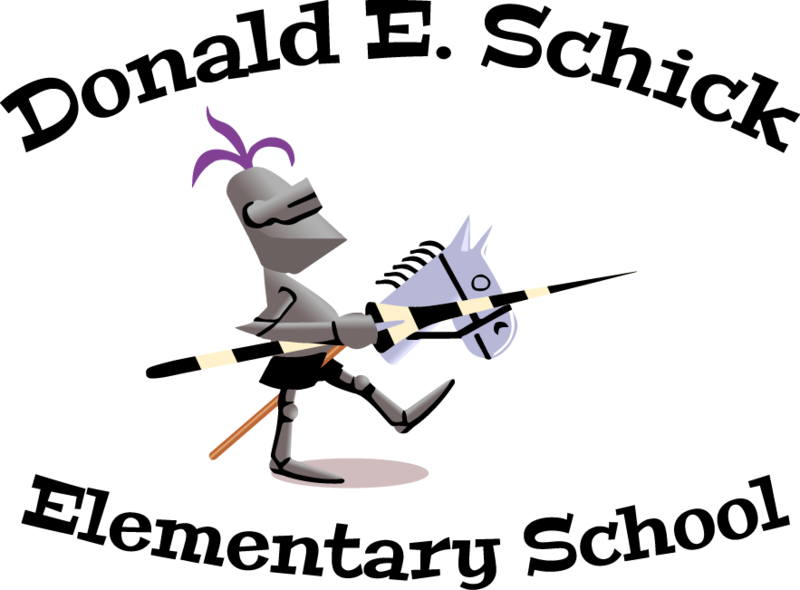 Check out the FREE resources at the James V. Brown public library! Partnering with local libraries, hoopla offers free streaming and downloaded audiobooks, movies, music, ebooks and comics to iOS, Android and Kindle devices.